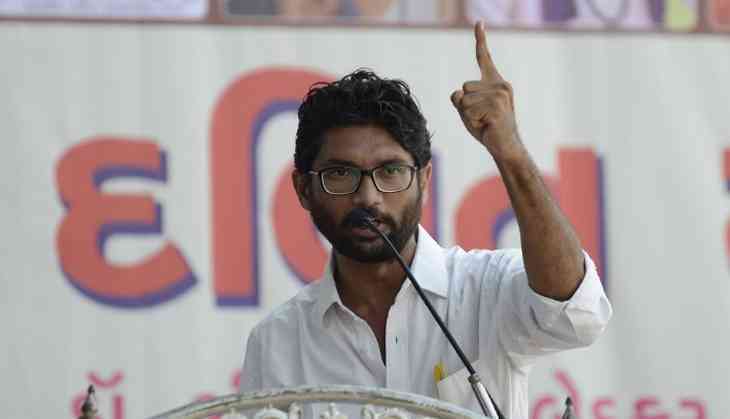 Gujarat MLA Jignesh Mevani on Tuesday accused the Central Government of targetting him after he was denied permission to hold the Yuva Hunkar rally in the national capital. "This is unfortunate that an elected representative is not allowed to speak," Mevani told ANI here, and added, "We were going to put forth our points democratically, peacefully and within the boundaries of law and even we were not even given permission. The government should be ashamed. It is targetting us, the Dalit community and the youth." Mevani said he was going to take up issues of social justice and other issues pertaining to the Centre's inability to create employment and the increasing right-wing violence. "When did Delhi become so undemocratic? This is a murder of democracy," Mevani further remarked. Mevani and his supporters were reported to be going ahead with the rally despite the Delhi Police denying permission for the event. The Delhi Commissioner of Police (DCP), yesterday, tweeted that the authorities had advised the organisers to shift the rally to another site.